Sometimes this is the only choice; for example, when your system has become irreparably corrupted with viruses. But you should try other options before resorting to this drastic step. 1Assuming your system is still functional enough to let you do so, back up everything you can find and close all applications. Don’t worry about software programs because you’ll have to reinstall those, anyway. 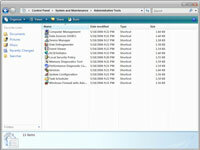 2Choose Start→Control Panel→System and Maintenance→Administrative Tools. Note that you have to be logged on as the head honcho — the system administrator — to perform these steps. 3Double-click the Computer Management link. 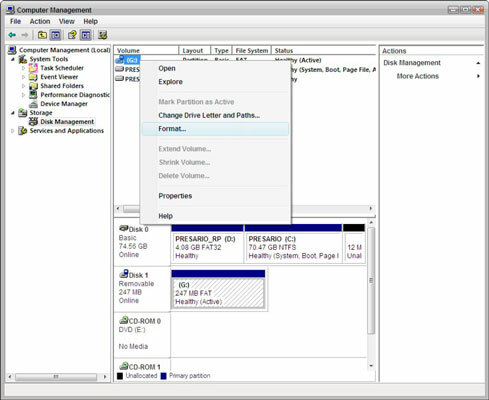 Click the Disk Management link on the left. The display area in the center will indicate all of the drives set up on your computer. 4Right-click the drive or partition that you want to reformat, and then choose Format from the shortcut menu that appears. It’s worth repeating: Reformatting a drive wipes everything off it, so be sure that’s what you want to do before you do it. 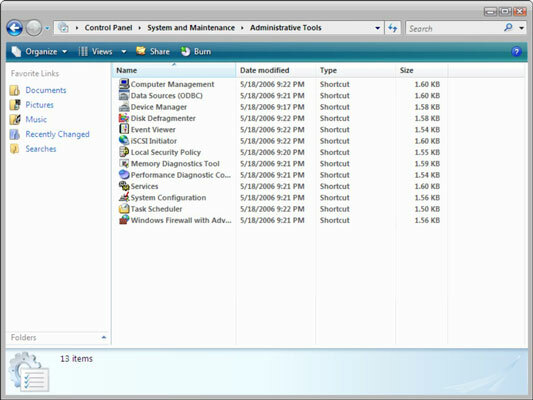 If you choose to reformat your system drive (usually the C: drive), you will be essentially wiping Windows Vista from your computer. Be sure that you have the correct system discs that you will need to begin reinstalling Windows Vista once the format is complete. 5In the resulting dialog box, select the options you want (file system and size) and then click OK. The two file systems types that you can choose from are NTFS and FAT32. NTFS is the default.